Recently I have been researching about the battle and fall of Troy. Through studying Velikovsky and others I came to the conclusion some time ago that the Battle of Troy occurred around 690 BC (Alternative Chronology). This was about 90 years before the Assyrians attacked Israel and carried them away into captivity. At this time many of the Meshwesh/ Milesians/ Libyans (ancient Gaelic peoples) from Kedar (Ancient south-west Western Australia and the submerged Naturaliste Plateau) and the Indian Ocean were in Egypt and Europe. Until recently I had accepted the traditional location of Troy in Asia Minor (Turkey) but after reading further I tend to agree with those who place Troy in a colder northern climate. Many writers such as, Jurgen Spanuth, Iman Jacob Wilkens, Felice Vinci and Steven Sora and others have identified Homer's world in north-western Europe. While agreeing with a northern and western location of Troy and the ancient Greek homelands the setting of Homer's world is more global than any of these writers suppose. At this time around 700 BC (Alternative Chronology) there was a paganised Egypto-Phoenician-Israelite (Tharshish and Zarephath) culture on the north-western coastlands of Europe connected with the Tribe of Zebulon (tall and blonde warriors). Their colonies stretched across the Atlantic to the Americas. This was about the time that the stone village with advanced plumbing at Skara Brae in the Orkneys was built. These were the ancestors of many of the ancient Greeks and the source of the Homeric accounts. Following the faulty datings of conventional chronology based on modern Egyptology leads these writers to place these events 600 years earlier as demonstrated by Immanuel Velikovsky. In fact the ancient Greek writers confuse the time of the destruction of Troy with the destruction of the island of Atlantis which probably occurred around 1100-1000 BC. At this time Scandinavia was an island as mentioned by ancient writers such as Paul the Deacon and Jordanes. Pliny the Elder of the first century wrote that Scandinavia was a "large, fertile island in the North". Once the Gulf of Finland was joined to the White Sea (near modern day St Petersburg) by a strait which ancient Lake Onega was part of as well as the ancient Lake Ladoga. It was most likely in about 540 AD or later that Scandinavia ceased to be a island due to cataclysmic events at that time. The Northern Atlantic was at this time of the Homeric accounts called the Red Sea and Homer describes it as the dark wine coloured sea. This Sea was also known as the Sea of Hel or Helle (Hellespont) which Wilkens identifies with the North Sea including the English Channel and the Atlantic west of France. I would include the whole of the Northern Atlantic and the Arctic Sea as part of this Sea of Helle. Its red-colour at this time may have been due to the after-effects of the sinking of Atlantis. 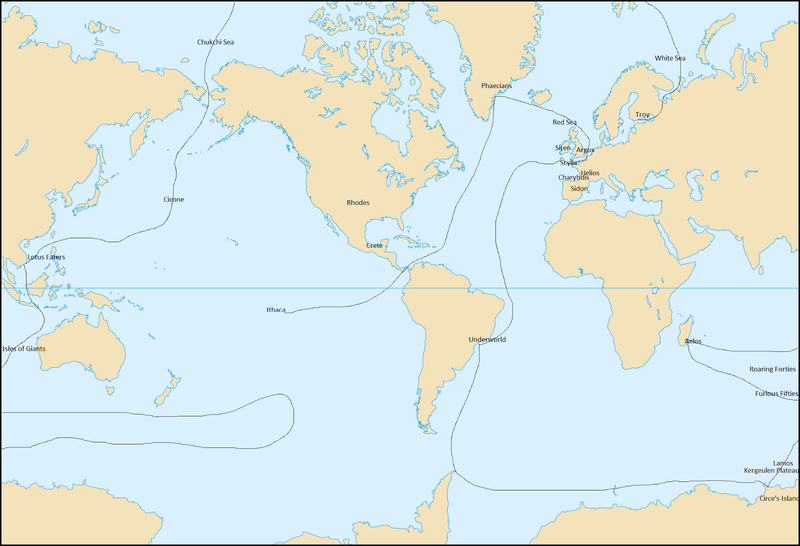 The so-called River of Oceanus mentioned by Homer is the Thermohaline circulation or conveyor belt system of the Ocean including the Gulf Stream. This system includes not just the Atlantic Ocean but also the Pacific and Indian Oceans in which I situate the journey of Odysseus. These Northerners also established colonies in the Mediterranean Sea and mixed with the Pelasgians (Philistine/ Southern Atlanteans of E1b ydna) and were known as the Ancient Greeks. They called themselves Dannan or Danai in honour of their Goddess Dione (Diana/ Dinah/ Danu) and her priestesses. 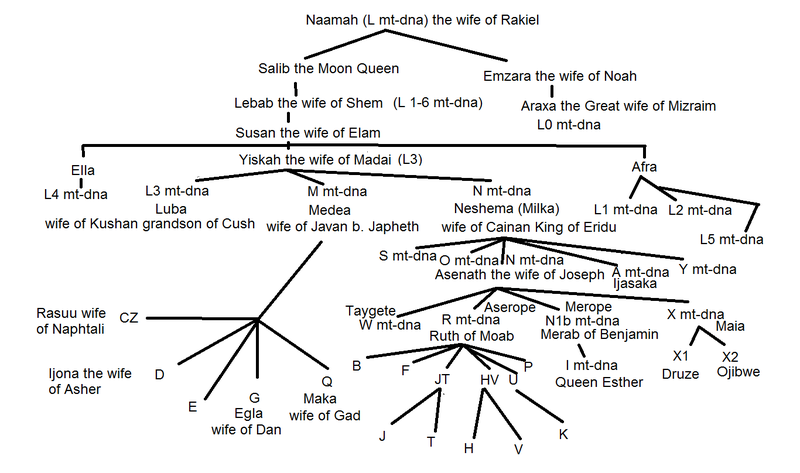 She was a deified version of Dinah the daughter of Jacob and Leah. The Northern Atlanteans were a mixture of Zebulonites from Tharshish (R1b ydna) with Ephraimites from Phoenicia (R1a). Both the Mexican Crete and the Mediterranean Crete were colonies of the northern Atlanteans. Crete is named for an early Queen of Atlantis called Cleito or Creito. The High King of Atlantis who ruled in the mountainous north was called Atlas or Atzlan from which developed the titles of Athel, Adel, Eadgils. Zebulon is also to be identified with Poseidon. The Battle of Troy occurred at a time of great cataclysmic events that saw a huge Tsunami inundate Doggerland and cause the Danai to move into the Mediterranean area in greater numbers in the late 7th century BC. They were joined around 600 BC by the Israelite Dorians fleeing the Assyrians. The Homeric Crete (Mexico) was also later called Antillia (Atullia/ Atala). It was an island at this time separated by water from Rhodes or Rhoda (North America) and South America (Island of Pelops / Peloponnese). Argos may have been located on the northern part of the Western Coastal plain of South America (some of it now under the pacific Ocean) with colonies in ancient Britain and Northern France. The Andes at this time ( until 620 BC) were just low hills until the cataclysmic events which ended the Peloponnese civilisation causing its people to move to their colonies in Europe. Ithaca and its surrounding islands closer to the South American Coast mostly sunk into the pacific though leaving behind tiny remnants such as Easter Island and Salas y Gomez Islet. The Pharos Island mentioned in Homer may be located where the Faroe Islands are located today but at this time it was one bigger island. The River Egyptus and Egyptus in Homer was not the Egypt and Nile of today but possibly land now sunken under the sea in northern Scotland. At this time it was ruled by a king called Proteus. Ancient Norway may have been called Thrace by Homer. The Pythia claims that Homer was from Ithaca like Odysseus himself. Homer writes of the Island of Scylla and the Charybdis (Oceanic whirlpool) in the Odyssey. Paul the Deacon of the 8th century places Scylla and this whirlpool between Britain and Galicia in Spain. The identification of this is crucial to any further identifications of locales in Homer. Scylla is the Roman Scillonia Insula which was a larger single island at this time now called the Scilly Isles. After Odysseus passed between Scylla and the whirlpool Charybdis he landed on Helios. Helios was the Greek name for Southern Zarephath (France) due to Elijah (deified as Helios) having lived there with the widow of Zarephath. 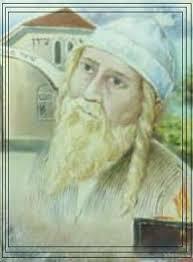 In the time of Elijah, Spain and southern France were called Sidon or Zidon. This was also the home of Jonah (the widow's son) of the Tribe of Zebulon. Felice Vinci's identification of Troy as Toija in Finland is correct in my opinion. 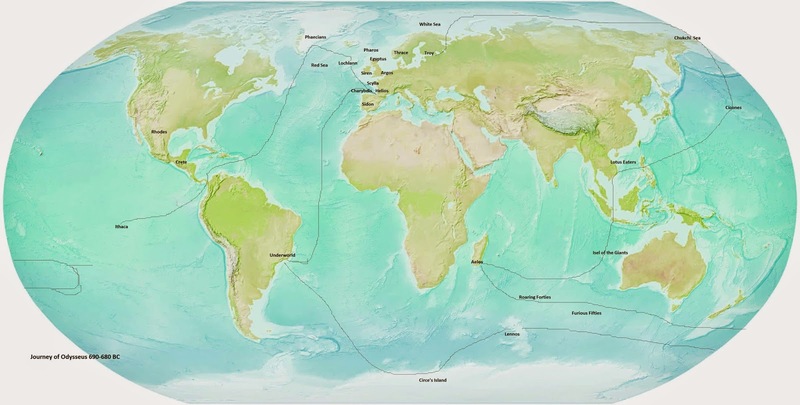 At this time the Arctic Sea was navigable in the Summer and Odysseus and his ships crossed this Ocean and entered the Pacific Ocean via the Chukchi Sea and they landed on the land of the Chukchi or Cicones which Marco Polo calls Cipangu (It sunk under the Pacific in 1530 AD). This may also be the same place called Colchis in the story of Jason and the Argonauts (Jason was from Lolcos which may be Calalus in North America or England). Odysseus then headed into South East Asia to the land of the Lotus Eaters (possibly Vietnam). The ships of Odysseus then arrived at the Island of the Giant Cyclopes. This Island was still in existence until as recent as 1530 (and possibly until 1606) off the Western Australian Coast and was recorded on early Portuguese maps as the Isle of the Giants. It is mentioned by Sir John de Mandeville in the 14th century. Odysseus then sails to Aelos which is near the Roaring forties or Furious Fifties and is probably the ancient land scientists now called the sunken land of Mauritia (still in tact in the 12th century AD). He then sails on the Roaring forties or furious fifties heading for Ithaca (an island in the Pacific west of South America possibly Easter Island which is the small remnant of a bigger Island) but a hurricane turns them back. They are wrecked on Lamos (Lamary/ Java the Less) the land of Cannibals (Laestrygonians) on the Kergeulen Plateau. From the Kergeulen Plateau Odysseus escapes in one ship to Antarctica (Aeaea) which is ruled by a witch Queen called Circe. From there they sailed to the land of the underground cities of the east coast of South America where they have experiences of the supernatural possibly brought on by drugs. 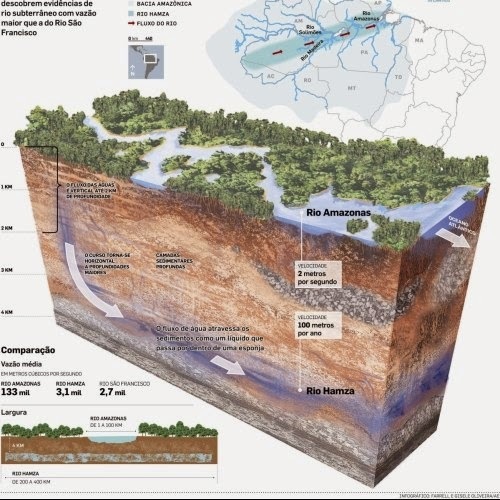 This is also where the River Styx is situated as an underground river four kilometres under the Amazon River now known as the Hamza River. This River originates under the Andes in the State of Acre region which some researchers believe contains subterranean cities and tunnels. 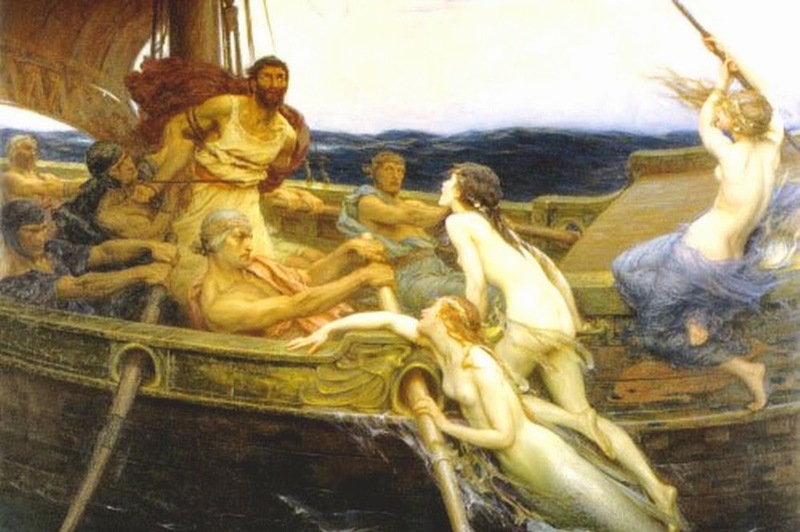 The Odyssey returns to the mouth of the River and from there they eventually head across the Atlantic past Ireland (the land of the Sirens) and between Scylla and Charybdis to Helios (southern France). He then gets into another storm and is washed ashore on Ogygia which may be Iceland or Lochlann (a sunken land near the Faroe Islands). After Ogygia he goes to the land of the Phaecians which was an advanced civilisation on Greenland. In their fast ships the Phaecians return him to Ithaca around 680 BC after his ten year journey. The Rhodans, Radans and the Trojans have been confused as they are three branches of the Tribe of Reuben. The Trojan ancestors left Egypt and settled in Turkey and then moved up the European waterways to the Baltic Sea where they established the Trojan Kingdom in Finland ruled by a Royal House descended from Zerah Judah. Another branch of the Royal House of Zerah Judah were Egyptian-Israelite Govenor-Generals of the Rhodan-Sheban Kingdom in Australia. It is possible that Troy I-V (Hisarlik) in Asia Minor was the original city that the Reubenites settled in Turkey before founding the Troy of Homer in Finland. After the fall of Troy in 690 BC in Finland the city in Asia Minor (Troy V1) was taken over and settled by a different culture. Rhodes or Rhoda (meaning red) in North America (Limestone or Chalk region of Arizona) may have been named for the red wolves and the red -coloured natives of this region. 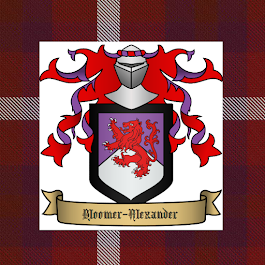 Later the Benjaminites would establish themselves in North America (Q ydna) by killing the Red men (descended from the Sons of Arpachshad) and taking their wives (the Daughters of the golden red skinned Adan, Japheth's wife) as their own. Others of the Sons of Arpachshad married the black skinned Daughters of Nahal (the wife of Ham). Another group of Reubenites left Turkey via the Mediterranean and settled in Rhoda in North America. They joined the other Danai in the attack on Troy. After the fall of Troy many of the Trojans moved to Rhoda and from there a large group sometime after 600 BC moved to join the other Reubenites in Australia who established the Radan or Rubanu kingdom of Chabor on the Shallow Red Sea (Yam Rhodud) of Inland Australia. One group of Trojans remained in Europe and were called the Rujii and they gradually moved south-west from the Baltic Sea towards France where they eventually join up with the Rhodan/ Radan Jewish traders who also used France (Gaul) as a major base of operations in their world-wide trading network. They also had colonies in Britain, Portugal and Italy. The Bible states that the Israelites would be sifted through the nations until the time when they would regain their Tribal identities in the latter Days. Note: To understand my dating one needs to read my others posts. However I basically use Velikovsky's chronology (with some differences) and the traditional Jewish dating system. I adjust the Jewish dates by 40 years so that the destruction of the First Temple occurs around 460 BC rather than the traditional Jewish date of around 420 BC. Velikovsky however accepts the modern dating by scholars of 586 BC. Thus I date the exile of the Northern Israelites by Assyria to around 600 BC (Alternative Chronology) rather than 721 BC (Accepted Chronology). Oh. My. Word. Mind blown. In light of Continental Drift and the possibility of a Pangea, it seems likely that many of the distances traveled were considerably more feasible in the distant past (though the Pacific would certainly be a greater challenge). The more I study, the more rooted in truth mythology seems to be. Thank you for giving me so much food for thought. Do you have any other published material besides this blog? I am so hungry for the knowledge you possess, and I am thrilled that you are a truly fulfilled Jew. Many blessings! Great to read your comments Brett and Jenni. No I don't have any published works on these themes- I was hoping to write a book on it all one day but it seems unlikely at this stage. I originally began my blogs (the other is called A Catholic Jew Pontificates)so I could put some of my ideas out there for others even if I never manage to write the books I would love to. Thanks so much for your response. May I ask how you made the connection for some of these locations? Are you basing your theories on the location of certain settlements on actual DNA samples of the current populations? Also (and forgive me if I overlooked something), is there any evidence that those who initially settled in South America were in any way connected to those in Africa? I am trying to research a Pangea scenario, and any evidence you can provide would be greatly appreciated. Thanks again for sharing your fascinating perspective; I would love to see sources cited, etc. Dear Jenni, I think that it is likely that Pangea or something like it existed after the flood until the time of Babel. 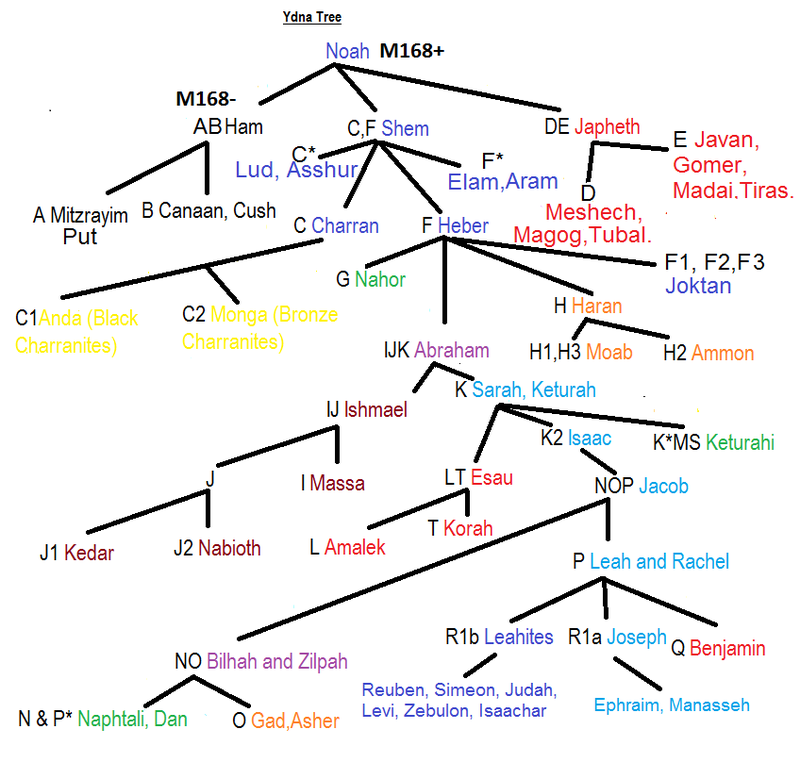 I believe (unlike some) that the division of languages and the division of Peleg are interconnected and occurred at the same time. However my problem is that lands have sunk and risen that are not taken into account with the diagrams or maps of Pangea especially when they fit the present shape of the continents together when they may have been shaped somewhat different. When I write about dna I am drawing on studies of dna of current populations and also ancient dna when it is available. One can not use the dna without reference to archeology and history. The big problem is that many in the fields of archeology and history are relying on dating methodologies drawn from evolutionary speculations and theories and then connecting them to a evolutionary dating of dna. I will pray for your further researches to be fruitful. I have been praying that God will rise up a new generation of scholars and scientists who are free from the evolutionary fantasties of the present peer-reviewed academia. Dear Jenni, Each of the locations and movements of peoples and settlements are based on my studies which in order to be explained would take a number of papers to demonstrate each location mentioned here. Reading my past articles may help see where I am coming from. The article I wrote on the Ancient History of Egypt and Australia gives a bigger picture of my ideas but then separate papers would need to be written to explain much there too. It is too big a project for me to do with the detail and thoroughness needed unless I was like a new Velikovsky (which I aren't)and spent all my time on it. As I am the leader of a Catholic community and prayer and adoration is my first priority I am afraid I can only dabble when I have time. Could you possibly look up a youtube video by Colin Hayter and the Gosford Glyphs in NSW Australia. I dont know how to attatch it. He has been researching the glyphs and has identified Dedi and some of his descendants of whom i am one of them. Dear friends,Homeric Troy is posted in Croatia.It is the City of Motovun in Istria county.Vedran Sinožić claims Trojan war took place in Croatia in his book Naša Troja -Our Troy.